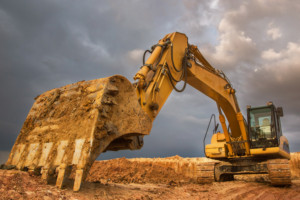 The June 2018 Equipment Leasing & Finance Foundation’s Monthly Confidence Index for the Equipment Finance Industry (MCI-EFI) showed that confidence in the industry was 66.2, up from 64.6 in May 2018. Additionally, there is a greater expectation to conduct business digitally, and equipment leasing companies who do not may be left behind. Due to the gains in efficiency, increasing confidence, and speed to capital, there is a growing digital ecosystem of originators, funders and investors in the equipment lease and finance space. As our Director of Fintech Strategy John Jacobs stated previously, a fully digital transaction management solution provides greater benefits for firms in the equipment lease and finance space and enables an improved customer user experience, enhances operational efficiencies and eliminates paper-related transaction costs. Thanks to technology, errors can be identified before closing and the entire process is faster, more compliant from pre-loan to signature to transfer into the secondary markets. An advanced digital lending solution can also be used to fight fraud on many levels when it comes to digital leasing in the equipment finance space. On the eSignature side, identity verification can be executed via email, text or phone, or through third-party services. Furthermore, after the eSignature, technology can be used to create an authenticated digital original document that cannot be altered, which is an example of where the digital process offers more security than existing paper-based methods. Best practices include sending lease documents to the customer in one digital package, which accelerates the origination process by preventing errors and omissions. From there, loan packages become an asset, that can be trusted by funders and investors, and quickly moved to the secondary market to access capital. If you would like to learn more about eLeasing and digital technology adoption, I highly recommend you watch the first webinar in our Educational Gateway Series. The session, produced in conjunction with the Equipment Lease and Finance Association (ELFA), features eOriginal President and Founder Steve Bisbee, Mintaka’s Schaefer and DLL Deputy General Counsel Dominic Liberatore. In the presentation, the panelists provide key information around digital transaction management with a focus on its use within equipment leasing. Have additional questions? Please send us an email. We’re happy to help! This entry was posted in Equipment Leasing, News and tagged eLeasing.